Planning your garden for this year? Southern Exposure Seed Exchange, located in Louisa, is once again donating 30% of the sales of certain seed packages to support PEC's Buy Fresh Buy Local program. And this year they have added a pollinator mix! 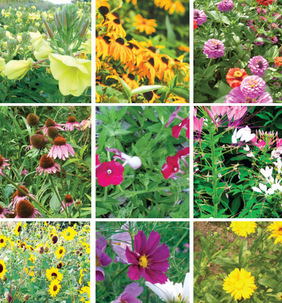 Start your garden off with two seed samplers that are rich in Virginia flavor and history -- the Virginia Heritage Seed Collection and the Welcoming Pollinators to the Garden Collection. 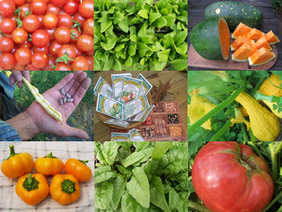 You can also download their full catalogue and choose from a large selection of other seeds at southernexposureonline.org. Bees and other pollinators need pollen, nectar and shelter all season, from early spring through late fall. Support your pollinators with this special collection of 12 old-fashioned single-blossomed heirloom, open-pollinated flowers and herbs. The white, purple, yellow, and orange colors preferred by pollinators provide beautiful blooms for the gardener as well as food and shelter for honeybees and a variety of native pollinators. as well as our Gardeners Quick Guide to Welcoming Pollinators and Other Beneficial Insects. Order your Pollinator Collection online or call (540) 894-9480!